First World War recruitment poster; 'Soldier's Separation Allowances. Increased rates from March 1st 1915'; published by the Parliamentary Recruiting Committee, London, poster no.72. 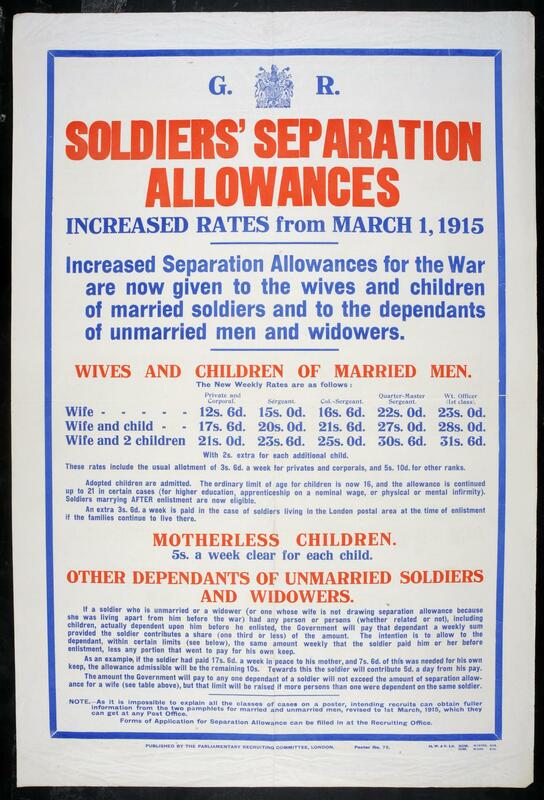 Detailed poster indicating improved conditions for families left without their breadwinner at a time in the war when recruitment is flagging. H. W. & V. Ltd.